Growth in sponsored data services is currently inhibited by a legacy approach to on-boarding new brands that is dependent on siloed systems and bespoke point-to-point integration. This catalyst project is delivering a centralised Sponsored Data Exchange that accelerates the time to launch new sponsored services by connecting brands and CSPs through open standards-based interfaces, and creates a scalable platform for multi-sided business models. Cerillion Skyline is a powerful SaaS billing application for the next generation of digital services. Designed specifically for the cloud, but built on more than 20 years’ experience delivering high performance on-premise billing and transaction processing systems, Skyline can be implemented quickly and seamlessly, with a comprehensive set of REST APIs making it ideally suited to an open ecosystem model. Skyline solves the billing and settlement challenges of the sponsored data business model, by supporting rapid on-boarding of digital services and multi-party ‘B2B2X’ billing relationships. 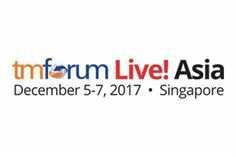 Meet Cerillion at TM Forum Live! Asia, 5-7th December in Singapore, to find out more. Request a meeting now.